Okay dokay, so this post is a tad late in that I now have my Xbox back, but lets just pretend it was posted just over two weeks ago on the 28th August. As I mentioned on Saturday my 360 decided it had had enough and wanted to join the queue at Microsoft’s European Repair Centre down near Portsmouth (ironically where Kate and I had just spent two weeks on holiday, if only it had failed earlier, I’d have thrown it at delivered it to them in person). 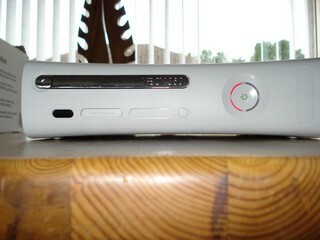 So what do you do when your Xbox 360 gives you the old three red lights. First of all, pop over to Xbox.com and check out the Xbox 360 Support section. The second link down in the hardware section is to the Three red lights flash on the Ring of Light, which links to a Microsoft Knowledge Base article. In my case it was off no use since my power supply had a green light, so my only course of action was to ring Xbox support. Before ringing I suggest trying your Xbox with all peripherals removed, e.g. wireless wotsit, hard drive and any USB connected devices. It will save you some time on the phone since they will ask you to do this. For me the symptoms were the same regardless of connected gadgets, which was either the red ring of death or it just locking up fairly quickly with a distorted picture. My first attempt at ringing up was not so lucky. I was amused to hear that whilst waiting they’d gone to the trouble of putting in an announcement to say how long the average repair time was (20 days). When I got through I explained my problem and was immediately told that their “system” was having trouble and to ring back in two hours. So four hours later I rang back. And success! The chap tried to get me to go through the aforementioned knowledge base article and the remove all hardware steps, but I’d already done this, so he resigned himself to having another Xbox shipped off for repair. I did confuse matters slightly by asking for it to be picked up from work instead of home address. My boss is very good when it comes to letting me work at home, but asking if I could do that so I could get my Xbox repaired is going a bit far. Within a few hours I received an email from UPS detailing what to do. 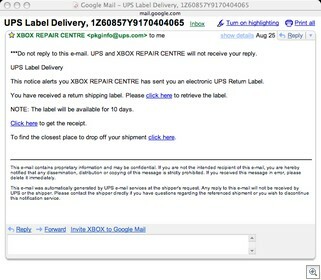 Pack your Xbox up in a normal shipping box (don’t use your original Xbox packaging, you’ll not get it back… not that it matters for me, I threw mine out the day I got my Xbox) without anything connected. You can even remove the face plate if you like. Pack it well, bubble rap, screwed up newspapers for padding, etc. 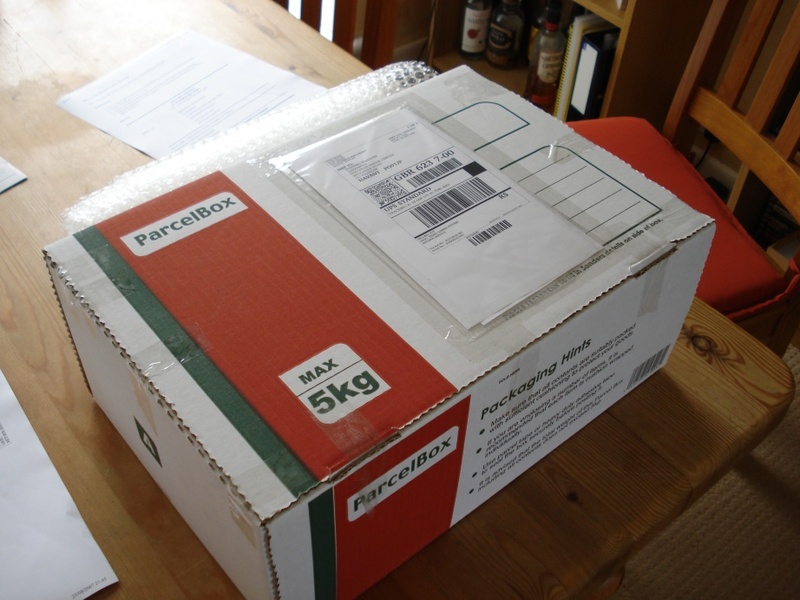 Then attach the UPS shipping label (which is valid for 10 days) so it’s clearly visible. Next ring up UPS when you’re ready to arrange collection. Given it was a bank holiday on Monday, I didn’t do this until I was back at work on Tuesday. I had to repeat my address details again, but this was a good thing since as I thought, they weren’t correct. 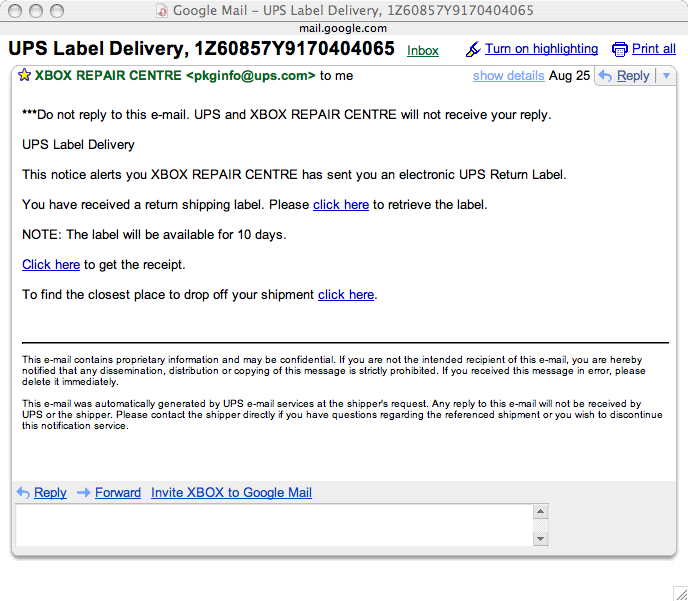 A couple of hours later said UPS man was at the door ready to toss my Xbox into oblivion. 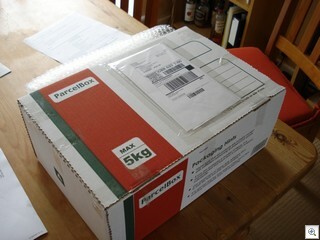 The UPS chap just took one look at my aura of geekyness and asked before even looking at the label, “Is it an Xbox?”. A knowing nod was the reply. And off he and it went.